There are many strong arguments for Creation, but some are not so strong, and others are totally unsound. It’s important to know the difference. This is why it’s important to keep up with current creationist literature. There is so much good evidence for Creation that there is no need to use any of the ‘doubtful’ arguments. Using discredited arguments rebounds on the user, and it’s a poor testimony for the cause of Christ. It’s the truth that sets us free (John 8:32), not error—and Christ is ‘the truth’ (John 14:6)! Christians should not become alarmed when they find out creationist researchers have overturned their favourite arguments. Rather, they should refocus on the main issue, the authority of the Word of God, the 66 books of the Bible,1 not the theories of fallible humans, whether creationist or evolutionist. The authority of the Bible is the main emphasis of Creation Ministries International. We don’t try to ‘prove’ the Bible with science; rather, we accept the Bible’s propositions as true without proof, i.e. as axioms or presuppositions. All philosophical systems, not just Christianity, start with axioms. There are good reasons for accepting the axioms of Scripture as true, because it can be shown that they lead to a consistent view of physical and moral reality, which other axioms can’t provide. God then judged the people by confusing their language at Babel—after they had refused to spread out and repopulate the Earth after the Flood. It’s important to realize that all ‘facts’ of science do not speak for themselves, but are interpreted within a framework. Evolutionists start with the axiom of naturalism or materialism, i.e. God (if He even exists) performed no miraculous acts of creation. Biblical creationists interpret the same facts and observations, but within the framework outlined above. What should we defend, and what should we hold loosely? It’s very important to distinguish the Biblical framework from various creationist scientific models within this framework. To Christians, the framework should be non-negotiable, but the models should never be held dogmatically. All theories of science are fallible, and new data often overturn previously held theories. Evolutionists continually revise their theories because of new data, so it should not be surprising or distressing that some creationist scientific theories need to be revised, too. Ironically, some skeptics criticize creationists when they retract doubtful arguments, but the same people accuse creationists of being unwilling to change their minds. For a long time, creationists claimed that the dust layer on the moon was too thin if dust had truly been falling on it for billions of years. They based this claim on early estimates—by evolutionists—of the influx of moon dust, and worries that the moon landers would sink into this dust layer. A decomposed basking shark, rotting to give a ‘plesiosaur look’, like the one above (photo by Bev Elliott). 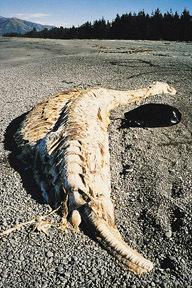 This carcass was almost certainly a rotting basking shark, since their gills and jaws rot rapidly and fall off, leaving the typical small ‘neck’ with the head (see photo, left). This has been shown by similar specimens washed up on beaches. The effect is so well-known that these carcasses have been called ‘pseudoplesiosaurs’. CMI has long pointed out the fallacy of this statement. Dishonest skeptics wanting to caricature creation also use it, in reverse. The removal of a rib would not affect the genetic instructions passed on to the offspring, any more than a man who loses a finger will have sons with nine fingers. This is contradicted by their geological setting. It’s most likely that they perished toward the end of the Ice Age, possibly in catastrophic dust storms.8 Partially digested stomach contents are not proof of a snap freeze, because the elephant’s stomach functions as a holding area—a mammoth with preserved stomach contents was found in mid-western USA, where the ground was not frozen. This law says that the entropy (‘disorder’) of the universe increases over time, and some have thought that this was the result of the Curse. However, disorder isn’t always harmful. An obvious example is digestion, breaking down large complex food molecules into their simple building blocks. Another is friction, which turns ordered mechanical energy into disordered heat—otherwise Adam and Eve would have slipped as they walked with God in Eden! A less obvious example to laymen might be the sun heating the Earth, but to a physical chemist, heat transfer from a hot object to a cold one is the classic case of the Second Law in action. Also, breathing is based on another classic Second Law process, gas moving from a high pressure to low pressure. Finally, all beneficial processes in the world, including the development from embryo to adult, increase the overall disorder of the universe because the disorder of the surroundings is increased more than that of the system is reduced, showing that the Second Law is not inherently a curse. Death and suffering of nephesh animals before sin would be contrary to the Biblical framework above. It is more likely that God withdrew some of His sustaining power (Col. 1:15–17) at the Fall so that the net effects of the Second Law would now lead to overall decay. The fossil bird known as Archaeopteryx (ark-ee-OP-ter-ix), is among the most prized relics in the world. A number of specimens exist from the Solnhofen limestone quarries in Germany. 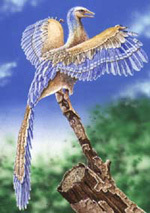 Some have suggested that the fossil, which allegedly shows both bird-like and reptilian features, had its fine feather impressions added by a forger, making it one of the world’s first paleontological hoaxes. 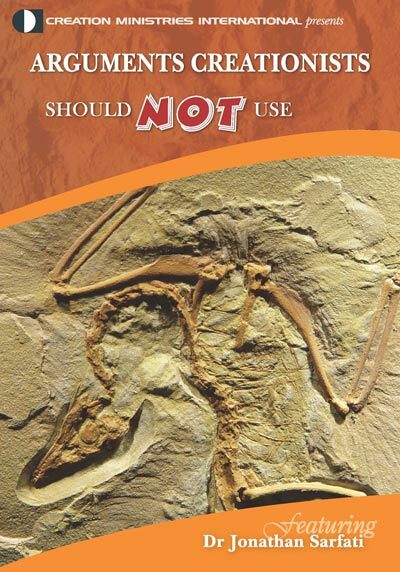 The fossil specimens are however, genuine—unlike the more recent and proven fraud, Archaeoraptor, featured in a leading world journal, where portions of different fossils were glued together to make a ‘bird-dinosaur missing link’. What people usually mean when they say this is ‘Evolution is not proven fact, so it should not be promoted dogmatically.’ (Therefore that is what they should say.) The problem with using the word ‘theory’ in this case is that scientists use it to mean a well-substantiated explanation of data. This includes well-known ones such as Einstein’s Theory of Relativity and Newton’s Theory of Gravity, and lesser-known ones such as the Debye–Hæckel Theory of electrolyte solutions and the Deryagin–Landau/Verwey–Overbeek (DLVO) theory of the stability of lyophobic sols, etc. It would be better to say that particles-to-people evolution is an unsubstantiated hypothesis or conjecture. To develop a Scriptural model properly, we must understand what the author meant to communicate to his intended audience, which in turn is determined by the grammar and historical context. We must not try to read into Scripture that which appears to support a particular viewpoint. In this passage, the original Greek word translated ‘science’ is gnosis, and in this context refers to the élite esoteric ‘knowledge’ that was the key to the mystery religions, which later developed into the heresy of Gnosticism. This was not an error by the KJV translators, but one example of how words change their meanings over time. The word ‘science’ originally meant ‘knowledge’, from the Latin scientia, from scio meaning ‘know’. This is not the way it is used today, so modern translations correctly render the word as ‘knowledge’ in this passage. Of course CMI believes that evolution is anti-knowledge because it clouds the minds of many to the abundant evidence of God’s action in Creation and the true knowledge available in His Word, the Bible. But it still is wrong to use fallacious arguments to support a true viewpoint. On a related matter, it is linguistically fallacious to claim that, even now, ‘science really means knowledge’, because meaning is determined by usage, not derivation (etymology). Many evolutionists believe that a small group of creatures split off from the main group and they became reproductively isolated from the main large population. Most change supposedly happened in such a small group, which can lead to allopatric speciation (a geographically isolated population forming a new species). So nothing in evolutionary theory requires the main group to become extinct. This is a hoax. Essentially the same story, now widely circulated on the Internet, appeared in the somewhat unreliable 1936 book The Harmony of Science and Scripture by Harry Rimmer. Evidently an unknown person embellished it with modern organization names and modern calculating devices. Also, the whole story is mathematically impossible—it requires a fixed reference point before Joshua’s long day. In fact we would need to cross-check between both astronomical and historical records to detect any missing day. And to detect a missing 40 minutes requires that these reference points be known to within an accuracy of a few minutes. It is certainly true that the timing of solar eclipses observable from a certain location can be known precisely. But the ancient records did not record time that precisely, so the required cross-check is simply not possible. Anyway, the earliest historically recorded eclipse occurred in 1217 BC, nearly two centuries after Joshua. So there is no way the missing day could be detected by any computer. This article is meant to encourage trust in God’s infallible Word, not man’s fallible theories—even our own. Its purpose is also to help people avoid defending the cause of the Truth with faulty arguments, and instead focus on the many effective arguments for Biblical Creation and against evolution/billions of years. 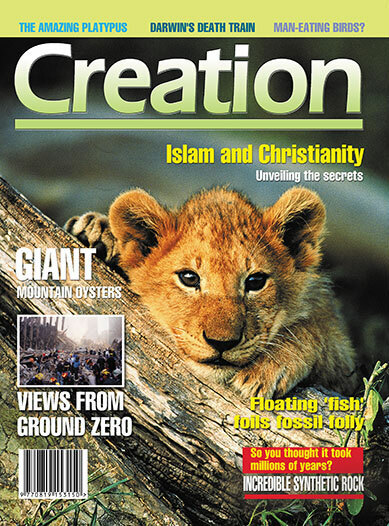 To keep yourself up-to-date with both types of argument, keep up with our periodicals (including the Journal of Creation), and visit our Creation website regularly. For a defence of the authority, inerrancy and sufficiency of the Bible, and the correctness of the 66-book Canon, see Q&A page on the Bible. Return to text. 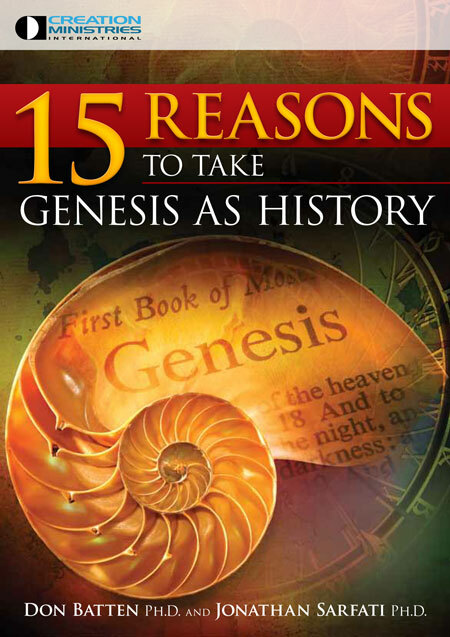 Justification for these can be found in the Q&A page on Genesis, CMI website, or our new Creation CD. Both contain many past Creation magazine articles. Return to text. Those (such as Hugh Ross) who believe that God created over billions of years and thus have animal death occurring before sin, are also guilty of setting up straw men. See Ham, K., Demolishing ‘straw men’, Creation 19(4):13–15, 1997. Return to text. Grigg, R., Did Darwin recant? Creation 18(1):36–37, 1995. Return to text. Moon dust argument no longer useful, Creation 15(4):22, 1993; Snelling, A. and Rush, D., Moon Dust and the Age of the Solar System, Journal of Creation 7(1):2–42, 1993. Return to text. Jerlström, P., Live plesiosaurs: weighing the evidence, Journal of Creation 12(3):339–346, 1998; Jerlström, P. and Elliott, B., Letting rotting sharks lie: Further evidence that the Zuiyo-maru carcass was a basking shark, not a plesiosaur, Journal of Creation 13(2): 83–87, 1999. Return to text. Wieland, C., Regenerating ribs: Adam and that ‘missing’ rib, Creation 21(4):46–47, 1999. Return to text. Oard, M., The extinction of the woolly mammoth: was it a quick freeze? Journal of Creation 14(3):24–34, 2000. Return to text. See documentation in Sarfati, J., Archaeopteryx (unlike Archaeoraptor) is NOT a hoax—it is a true bird, not a ‘missing link’, Return to text. Who was ‘Java man’? Creation 13(3):22–23, 1991. Return to text. Simpson, G.G., The world into which Darwin led us, Science 131:966–969; cited in Bird, W.R., The Origin of Species: Revisited, Vol. 1:233, Thomas Nelson, Nashville, Tennessee, 1991. Return to text. Grigg, R., Joshua’s Long Day: Did it really happen—and how? Creation 19(3):35–37, 1997. Return to text.